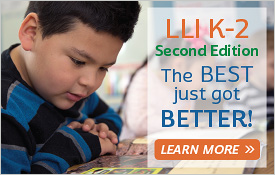 We keep track of the instructional levels for all 5 classrooms of each grade level in our K-5 school. It's one of the tools we use for grouping students for intervention. What I've noticed over the years is that we are heavy in the Advanced and Minimal ranges but light in the Proficient and Basic ranges. This could create an inverted Bell curve. Does anyone else encounter this situation? What does it mean? 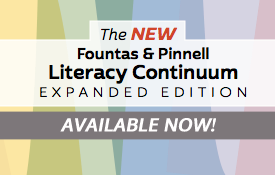 The Fountas and Pinnell Literacy Continuum is an excellent resource to guide explicit instruction of students at grade level and text level gradients. I would suggest you examine instruction and goals from a perspective of specific processing strategies that are needed in order to change the trajectory of performance. What you are noticing may be a tendency of teachers to teach from a program perspective rather than from a strategic action reading process perspective. In other words, teachers need to ask, “What do my students currently use to process text at their grade level and gradient text level and what do I need to teach more explicitly in my daily instruction?” This document: The Literacy Continuum (linked here:https://www.heinemann.com/products/e06078.aspx ) is a valuable tool, a GPS for instruction based on student needs. It takes the guess work out of what to teach! 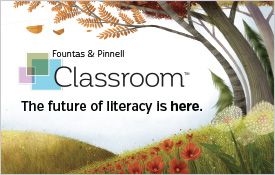 Another recently published resource is Guided Reading Responsive Teaching Across the Grades by Fountas and Pinnell... linked here https://www.heinemann.com/products/e08684.aspx is an invaluable tool for determining ‘how to teach across the grades.’ Both of these would be helpful in getting change in your current situation.